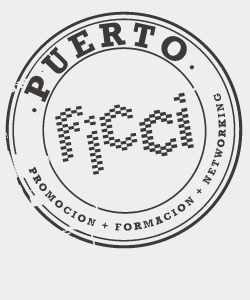 PUERTO FICCI is a forum where different actors in the film and audiovisual industries can get together and exchange views and experiences; a place where project development strategies, academic training, and ideas on the distribution and exhibition of contents can be discussed in a collaborative spirit intended to promote and strengthen the region’s film industry. Every year for the last four years, films and projects under development have disembarked at Puerto FICCI, which provides a safe harbor for these young vessels in search of their own routes. This year, we are as steadfast as ever in our mission to create a rallying point for representatives of the Ibero-American and global film industries. This endeavor would not be possible without the invaluable support of our partners: Proimágenes Colombia, Pontificia Universidad Javeriana, Universidad Pontificia Bolivariana, Centro de Formación de la Cooperación Española (AECID), the Ministry of Culture’s Film Department, the Bogota Chamber of Commerce’s Creative Industries and Contents Cluster, the Bogota District Film Library, the Bogota Film Commission, Invest in Bogota and Congo Films School. • IV PuertoLab, Work In Progress: Promotes the completion of feature-length fiction and documentary films by emerging Ibero-American directors. • VIII Salon FICCI: Contemplating Cinema, a forum for academic education and training. • IX Documentary Workshop: Equipping 12 Latin American documentary filmmakers with the tools they need to complete their projects. • XIII International Producers’ Symposium: Organized by the Ministry of Culture’s Film Department and the National Film Arts and Culture Board (CNACC), this initiative is designed to help producers pitch their film projects on global audiovisual markets. • Café-Puerto FICCI: Industry Lounge. The ideal venue for meetings between accredited industry members. • Networking Time: Every day from 5:30pm to 7:30 pm, a refreshing splash and go. A meeting point for accredited industry members. • Coffee time: A chance to share experiences and talk to our special guests in informal surroundings.